It’s hard to believe the storefront at the southeast corner of Church and Franklin has been empty for so long: As brought back to life by James Perse, it’s positively luscious, with huge picture windows on two sides and higher-than-high ceilings. 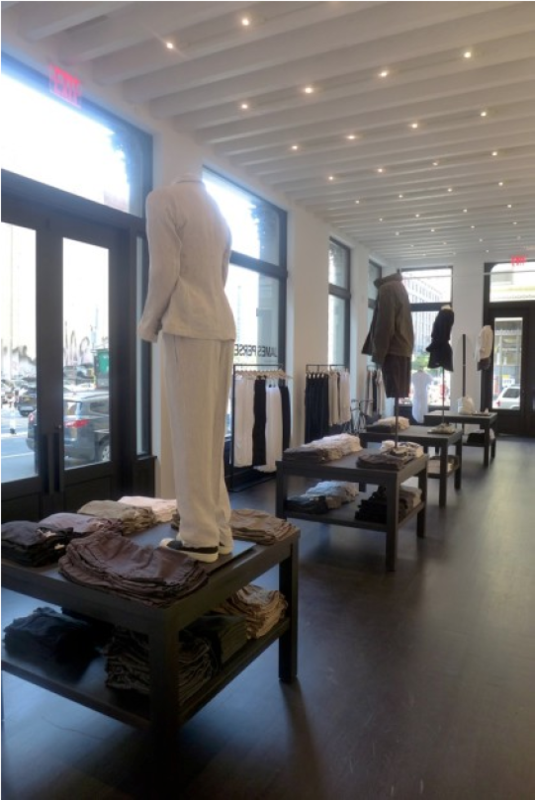 The space looks fantastic without appearing to try hard, which makes it an apt representation of the James Perse brand, known for clean, relaxed silhouettes in quality fabrics. There’s menswear, womenswear, home (linens, as well as furniture to order), and shoes, although those are currently not yet James Perse, but brands he likes. You won’t find kidswear, but the nice folks working there agreed that if Perse starts making it again, the Tribeca store is the likeliest spot for it.